Forgiving, long and also boast superb feel for a game improvement iron. A heavier head, coupled with a ultra-high kick balance point shaft, creates maximum flight distance and improved directional stability. Appearance and feel are two attributes you would assume go out the window with game improvement irons. After all, forgiveness is a foremost concern for mid-to-high handicappers, and distance is always thrown in, because promising extra yards sells golf clubs. Impressively, Srixon has been able to merge almost all of these attributes in its Z355 irons. Game improvement irons often have a dull, lifeless feel to them, but the Z355 irons are a pleasure to hit. They boast a lively, smooth feel thanks the use of surface heat treatment on the face, and a resin badge on the back, promoting a softer impact. The key piece of technology Srixon employs in its Z355 series is Action Mass Technology. A heavier head, coupled with a ultra-high kick balance point shaft, creates maximum flight distance and improved directional stability. These game improvement irons are one of the longer sets on the market. When hit out of the middle, the ball fizzes off the face, and the high ball flight on offer is great for attacking greens. As you would expect, there is a huge amount of forgiveness on offer. On off-centre hits, we were only losing around 15 yards of distance with shots that would have struggled to get off the ground with a player iron. The Tour VT soles are individually tailored for each club number for improved turf interaction. Hitting both off the mat, grass and tee, the iron glides through the bottom ark with ease, and rarely snags on the ground. Srixon has managed to maintain a well-balanced feel to the iron, despite the use of Action Mass technology. It feels slightly more head-heavy than a standard iron, but in no way did we feel that resulted in a loss of control throughout the stroke, and we became accustomed to it quickly. The Z355 has a mid-to-thick top line and sole, as often seen on game improvement clubs. It’s on the chunky side, but not unattractive – middle of the pack, in terms of aesthetics. 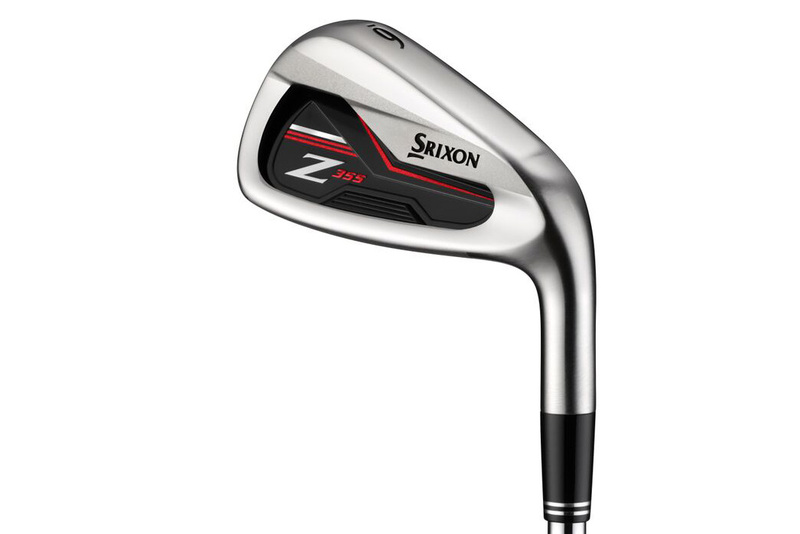 The Srixon Z355 irons are forgiving, long and also boast superb feel for a game improvement iron. One of our favourite irons on the market for the 2016 season.